Chances are you’ve heard about Cycloramic, a stupendously amazing iPhone photography software which allows you to capture stunning, accessory-free 360-degree video using custom vibration patterns in your device and an Apple power adapter. 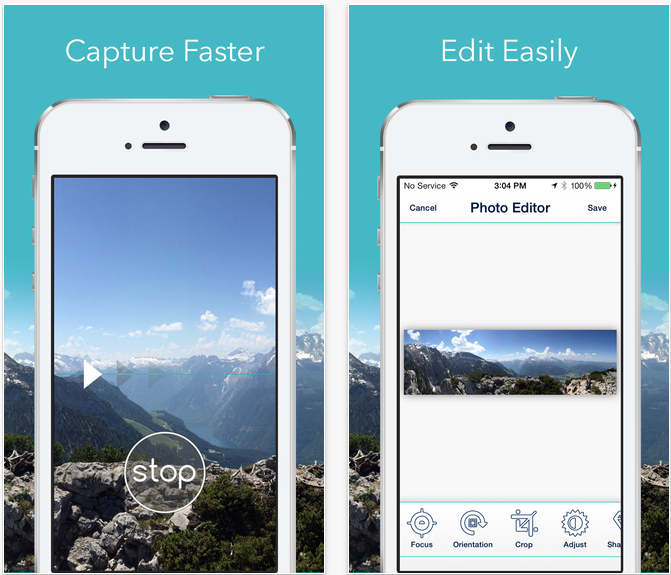 If you haven’t taken the plunge yet, please don’t pass on this opportunity as Cycloramic has just gone free for the first time ever. A $1.99 saving, only the iPhone 6 edition of the app is free, and for “a very limited time”, according to developer Egos Ventures. The iPhone 5/5s version, which hasn’t been discounted and is available for $1.99 a pop, relies on the handset’s squared base and the vibration motor to spin the device around its axis. Due to the iPhone 6’s rounded design, that trick no longer works so Egos had to come up with a rather innovative solution which involves using your handset’s power adapter as a base. Boasting the fastest panorama capture, the app takes only three seconds to capture a 180-degree panorama with your iPhone 6. Just put your iPhone 6 on top of your power adapter on a smooth and level surface (granite, marble or wood desk should do) and Cycloramic will spin the device using its internal vibration motor. “As it rotates, the phone takes multiple photos, instantaneously stitches them together, and generates a panoramic photo viewable in our immersive viewer,” as per iTunes release notes. There’s no word how long the sale will last other than “a very limited time” so best thing you pick up Cycloramic immediately before it goes back up to its regular price. iOS 8.0 or later is required. Just to be clear: this isn’t one of those freemium releases disguised as a freebie — Cycloramic for iPhone 6 contains no In-App Purchases whatsoever and you get the full range of features, no strings attached. Note that Cycloramic only supports the 4.7-inch iPhone 6, not its larger sibling, the iPhone 6 Plus.